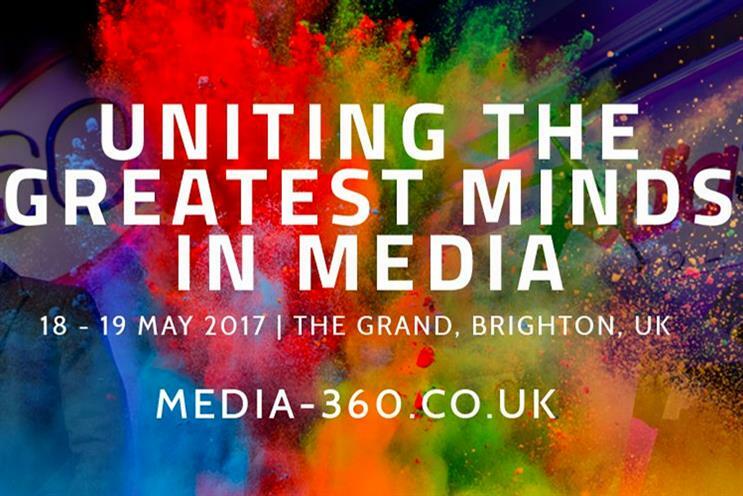 Industry leaders from Diageo, Disney, Facebook, ITV, Mars, McDonald's and Omnicom Media Group are among those speaking at Campaign's Media360 in Brighton next month. The UK media industry’s most important annual conference on 18-19 May will examine the unprecedented uncertainty facing brands in the era of Trump and Brexit and that has an added urgency now Theresa May has called a snap General Election. The theme of this year’s Media360 is Transform and Unite as businesses must embrace digital transformation and work together to find ways to cope with the fast-changing media and political landscape. Philippa Brown, chief executive of Omnicom Media Group UK, is chairing the two-day event at The Grand in Brighton. There are more than 50 speakers from leading brands, agencies and media owners, including: Alistair Macrow, chief marketing officer of McDonald’s UK; David Pemsel, chief executive of Guardian Media Group; Syl Saller, chief marketing officer of Diageo and Kelly Williams, managing director of commercial at ITV. Other brands due to attend include BT, Burberry, Barclays, BP, Johnson & Johnson, Nestle, P&G and Red Bull. There will be unrivalled opportunities to talk and network. Media360 includes a cocktail reception at the top of the 138-metre-high British Airways i360 tower, in partnership with Teads, and entertainment from the Brighton Fringe over dinner. Campaign’s head of media, Gideon Spanier, said: "Media is facing one of the most exhilarating, challenging and turbulent periods in living memory and that is why the theme of this year’s Media360 is Transform and Unite. "We bring together brands, agencies, media owners and other industry leaders to tackle all the big issues – digital transformation, Brexit, Trump, brand safety, media transparency and the great art vs science debate. It’s essential brain food for anyone in commercial media." Find out more about tickets and speakers at http://www.media-360.co.uk.